ButterCream Gift of the Nile Collection. Six 5 ml Color Gels. Cairo Queen ButterCream, 5 ml - A berry purple filled with shimmer. 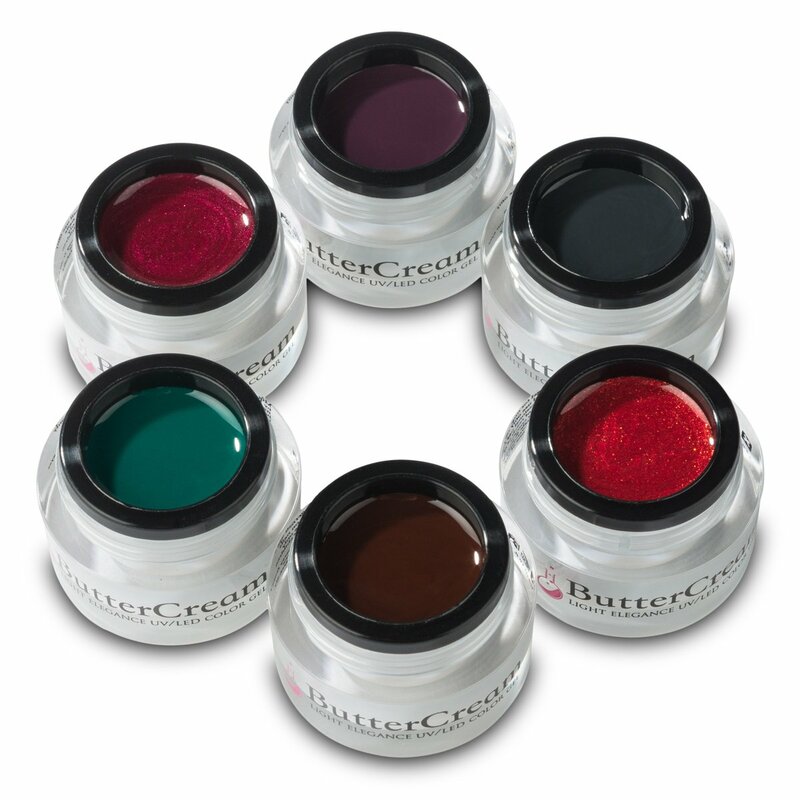 Cleopatra ButterCream, 5 ml - A cream, jewel toned dark emerald. The Crown Jewel ButterCream, 5 ml - A rich red filled with amber shimmer. Goddess Within ButterCream, 5 ml - A cream, dark black grey. Persian Plum ButterCream, 5 ml - A cream, deep plum. Walk Like an Egyptian ButterCream, 5 ml - A cream dark chocolate brown.